Hello, my name is Rick Zinda and I’ve been given the opportunity to be your Milwaukee Region President for the coming year. I first joined the PCA in 1997 when I bought my 1979 924. After a few years it had several catastrophic failures and I let my membership lapse. In 2007, I was encouraged to rejoin and, after a purchase of a 1997 968, I did. I’ve tried to be active in the club since. But that’s enough about me; we’re here to read about the club and the cars. Last year was a fantastic one for the Milwaukee region being our 50th anniversary. We had many anniverary-themed events to commemorate this historic time for our club -- on top of the regular events we hold every year. I’d like to take this moment to thank everyone who had a hand in all of the great events last year and encourage members to pass on a thank you to all who helped. Thanks also to Don Berchem, who has completed his board term and is the new chair of the Tech Sessions committee, and to all of the other committee chairs who are continuing in their service to the club. You can find the listing of 2011 board members and committee chairs on the region website – see the contact page (contact us tab). The year may be just starting but already a lot of great things are in the works for members. 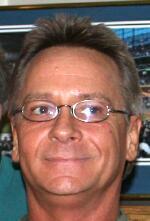 Feb. 5 is Carrera Chili and a week later – Feb. 12 -- is the first Tech Session. You’ll find the details for these events on the region website and noted below in the Upcoming Events section. Driving tours and social events are being planned, autocross courses are on the drawing board and DE events finalized. I hope to attend many of this year’s events to see old friends and make new ones. If you haven’t been to many (or any) events, it’s worth going. You can hang out with other Porsche nuts, enjoy driving your car and even learn something new about it. If you have an idea for an event, would like to help out or just want to say thank you, check out the contact page to reach your region leaders. Lastly, I want to re-invite and encourage all members to come to our club’s board meetings held every month. Being there is the best way to know what is going on and help shape our club. The meetings are held the first Thursday of the month; the location may change once in awhile to make the meetings more accessible to a broader group of members. With members living throughout southeast Wisconsin and beyond, it's difficult to find a central location that is equi-distant for everyone. We'll try, though, to move the meetings around to encourage attendance. You can stay informed of meeting locations by checking the web site calendar for the details of each monthly meeting. Jan. 6 Board meeting. 6:30 p.m. Brew City Grill, 10250 N. Cedarburg Rd., Mequon. Brew City is on Hwy 57 between County Line Road and Donges Bay Road. The meetings generally last an hour to 90 minutes. Pull up a chair, join the conversation. All members always welcome. Feb. 5 Carrera Chili. This is our region's mid-winter classic. Many Porsches are hibernating but we can always find a reason to get together in the cold months of the year. Food, drink and staying in touch are the best reasons and that's what we offer with Carrera Chili. Read the details here for this fun evening. Start perfecting those recipes now. Feb. 12 Visit the Pace Toy Barn. Region member and 2011 Vice President Ron Pace opens the doors of his "toy barn" (aka garage) to members for a fun Saturday activitiy. Test your skill with a video driving game and watch some great race videos. Food and beverages will be served. Limited to the first 35 respondents due to space limitations. You must RSVP by Feb. 7 if you want to participate. Details here. If you’re a track nut and want additional DE time beyond our region’s events, check out this listing of 2011 events. View the classifieds here. Members can use this free service to advertise their Porsches and Porsche-related items. The 2011 Porsche Parade, PCA's annual gathering of members from across North America, is July 31 - Aug. 6 in Savannah. Check out the Parade website for details. 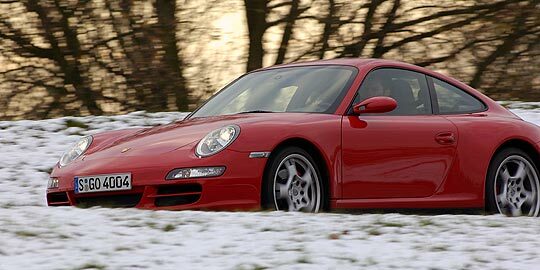 Porsches in the snow – some videos. Porsche rated as best vehicle to top 200,000 miles or more. Some of us knew it all along – Porsches are built to last. Many members are driving cars that were built in the 1950s and they’re still going strong. There's good news for Boxster owners, too. Read this article in Forbes magazine about Consumer Reports’ 2010 reliability survey results. Cayenne S hybrids purchased before Dec. 31 eligible for a tax credit. If you puchased a 2011 Cayenne S hybrid before Dec. 31, you could be eligible for an $1,800 tax credit. Read the details from Porsche Cars North America here. Boxster, Cayman earn Automobile Magazine's All-Star award. More kudos for the Boxster and Cayman. Read about the All-Star award from Automobile Magazine here. Wanted: Members' articles about winter restoration projects under way or your personal story about you and your Porsche.